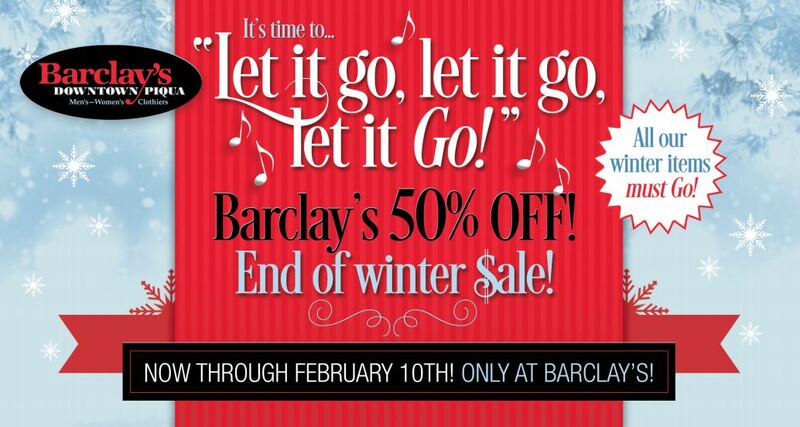 Barclay’s End of Winter Sale Now through Feb 10th! Believe it or not this winter won’t last forever, and it’s time to get ready for spring! To make space for the new styles Barclay’s is clearing out our winter items with a huge 50% off End of Winter Sale! 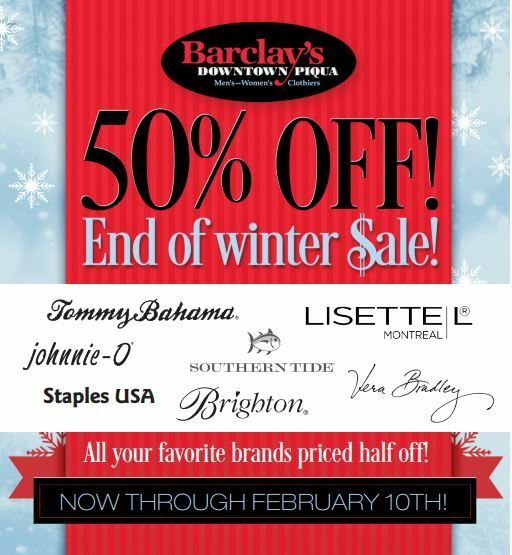 Stop by Barclay’s until Feb 10th and stock up on your favorite looks for winter for half the cost!